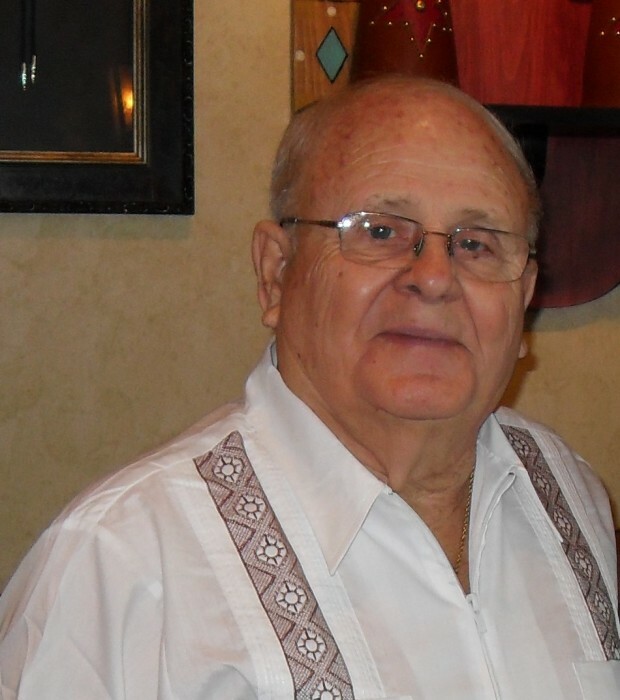 Mr. Lauren F. Higginbotham, Jr, age 82, of Blackshear, passed away on the 10th day of October, 2018 at the Orange Park Medical Hospital in Orange Park, FL. He was born in Asheville, NC on February 7, 1936 and lived in Jacksonville, FL most of his life. He worked as a Supervisor with Jacksonville Electric Authority and retired to the Florida Keys where he met and married his wife, Joyce. Lauren and his wife moved from the Florida Keys to Jacksonville in 1980 where they were members of the First Baptist Church of Jacksonville for 25 years and then later were members of Dunns Creek Baptist Church. Lauren loved fishing, rebuilding old cars and old boats. Lauren and Joyce moved to Blackshear in 2017 where they enjoyed their retirement and attending church at the First Baptist Church of Blackshear. Lauren leaves behind his wife Joyce, children Lauren Higginbotham III (Brenda) Carolyn Jean Nelson (Peter), Frank Alan Stiles (Liddy), brother Stephen Higginbotham, stepbrother George Williams (Nancy), 7 grandchildren, 8 great grandchildren, niece Amber Bobbit, nephew Wade Higginbotham along with cousins and numerous beloved friends. The memorial service will be held at the First Baptist Church of Blackshear, on Saturday, October 20, 2018 at 1:00 PM. Interment will be in the family plot at Brandy Branch Cemetery in Baldwin, Fl. In lieu of flowers please send a love offering to the church of your choice or to St Jude Children’s Research Hospital. Arrangements by Giddens-Reed Funeral Home, Baldwin, FL, 904-266-2337 (www.giddensreedfh.com).